Timberland PRO TiTAN Men's 26064 Black Alloy Toe EH Work Boots are for those who are looking for a safety toe work boot that offers protection and long lasting comfort. To achieve that goal, these black boots utilize PowerFit technology which is specifically focuse ... (see full details) (see specifications) #TMBTB026064001. 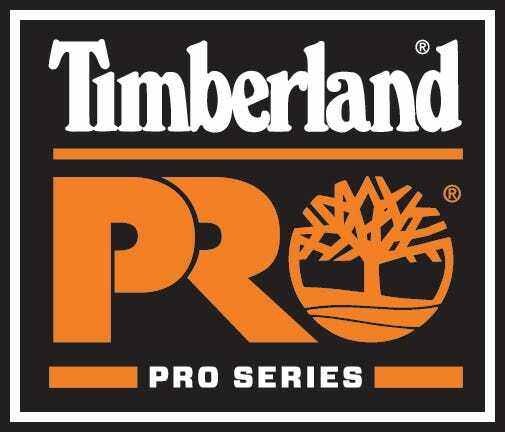 Timberland PRO TiTAN Men's 26064 Black Alloy Toe EH Work Boots are for those who are looking for a safety toe work boot that offers protection and long lasting comfort. To achieve that goal, these black boots utilize PowerFit technology which is specifically focused on making them to be as lightweight as possible, thus reducing foot stress. They are also made with soft, full-grain leather for a decreased break in time. The Timberland PRO boots begin with titanium alloy safety toe construction, to reduce the weight commonly associated with ordinary steel toe construction. Without the use of steel, the weight of the TiTAN Safety Toe decreases, yet remains compliant with ANSI Z41 PT99 M I/75 C/75 certification protocols. These EH boots also protect workers from electrical hazards. Outlast Adaptive Comfort polyurethane midsoles are utilized to regulate the temperature within these safety toe boots, helping keep your feet comfortable and dry. This feature and the Agion treated mesh comfort lining work to control any odor in these antimicrobial boots. And from the standpoint of fundamentals, there's also a lightweight internal nylon diffusion shank, which allows for torsional rigidity. This keeps your arch and ankles supported and coordinates movement while minimizing stress loads. Combine these facets with Timberland PRO Rubber outsoles that are slip-, oil- and abrasion-resistant, and you'll soon understand why TiTAN boots are the choice of professionals in many fields worldwide. Get the most out of every step you take at work with the technology employed within these Timberland PRO TiTAN 26064 Black Alloy Toe EH Men's Boots and rest assured that they are backed by the Timberland PRO 30-Day Comfort Guarantee. This is for sure the greatest pair of work boots I have had. Not only is Timberland the only brand I will wear but these 26064's are the best yet. I work in a wearhouse that I have to deal with all different working conditions and these boots are perfect. I am in the process of buying my third pair. They are an excellent shoe as far as durability, but this is the second time a sole has seperated from the shoe long before the sole wears out.The seperation starts at the toe, or the heel, and works it way toward the center.Still a great bargain and recommend them for their light weight and for being the most comfortable. I have boughtthese boots every time I have needed a pair. These are, by far, the BEST boots I have ever used. They fit like a glove, are lightweight, and are durable. I work in an environment that uses lube to lubricate the parts we make and the boots hold up. The down side is that the lube deteriorates the leather sooner than normal but the boots do last a year before I need another pair. Thank you for a well constructed workboot. These are the most comfortable pair of boots that I have owned right out of the box. The environment that I work in I am hard on the tips of the boots. They will last about a year. I am a repeat customer on these boots. I had one issue once out of five pairs of boots.The sole split,Timberline replaced the pair and payed for the shipping. I am on my fourth pair of these boots. Ok, Ok, I know if they aren't that great why keep buying them? Well they are light and comfortable, safe and soft to walk in. I work in a harsh ships engine room and the outside decks on the ship are coated in nonskid. The soles wear pretty quickly and tend to split . It could be the degrease but all in all these are a good buy. Timberland PRO Boots: Men's TiTAN 26064 Black Alloy Toe EH Work Boots is being added to your cart.